How can I opt out of Connect as a Buyer? 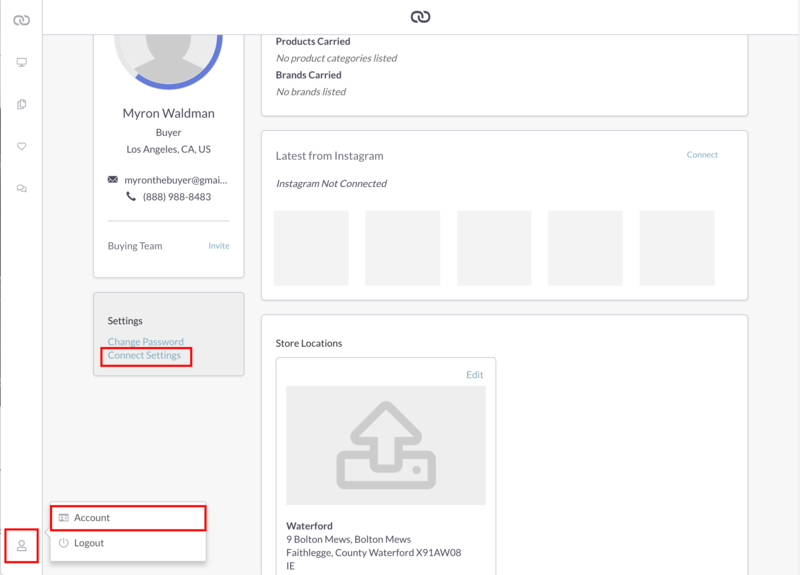 First, it's worth noting that you must be a registered Buyer and have activity with Sellers in order to be eligible for Connect. If you are not eligible, you will not appear in the Connect system or get proposals. Log in to your Buyer account, click the Account icon in the lower left corner and select "Account." On the Account Page, click "Connect Settings" in the box under "Settings." 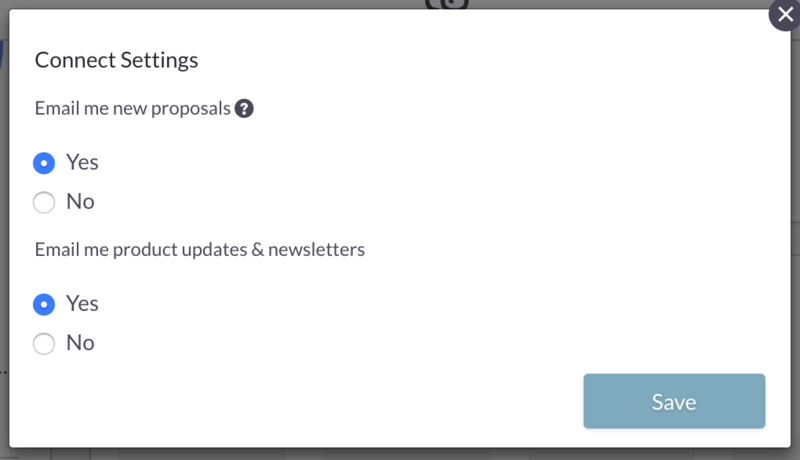 The Connect Settings panel will appear and allow you to disable proposals and other updates.